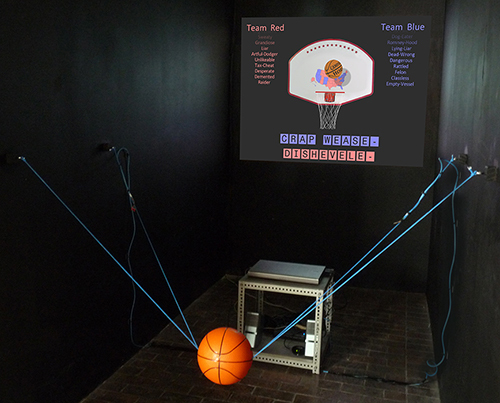 Campaign Horse - 2012 Election Edition is an interactive video installation that allows the visitor to participate in a modified version of the basketball game "Horse" using actual caustic insults from the recent national elections. In the original schoolyard game Horse, the objective is to get your opponent labeled a horse, one letter at a time, by making basketball shots. The insult start with an “h”, then “ho”, “hor”, “hors”, and finally progresses to when player is labeled a “horse”, which ends the game. Unlike the standard game, in Campaign Horse the ensuing insults are not initially known, but are revealed through the course of the game. All insults in the game were uttered (if not shouted) by rival candidates in the vitriolic 2010 congressional elections. The basketball is the means of interaction with the piece. The ball is tethered by two clotheslines and can be tossed by visitors in the direction of the net. Although the clotheslines will prevent the ball from travelling far, there are two, 2-axis accelerometers attached to the lines. These send signals to the controlling computer, triggering a virtual ball to travel towards the net. 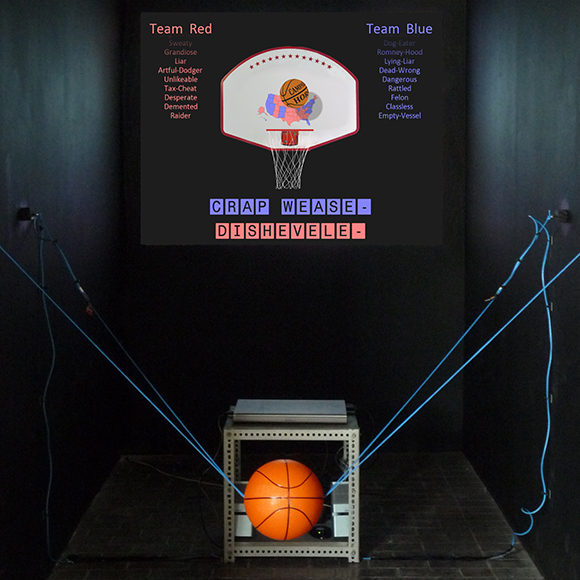 A physics simulation will determine if the ball goes through the hoop or not. 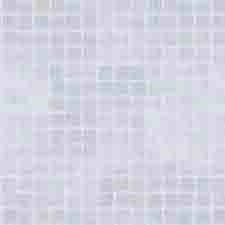 Note that, as an aesthetic touch, the net is rendered using an intricate spring-model simulation for a realistic look. By interacting with Campaign Horse, perhaps visitors will get a sense of what it is like to have unfounded insults and accusations directed against them. There is the added benefit of being able to hurl some insults right back at your opponent. Campaign Horse uses OpenFrameworks, an open-source C++ library for creative coding.